The 2019 Tri-State Cucurbit Workshop will provide the latest research information for commercial growers of watermelons, cantaloupe, squash, and cucumbers. A few installments will be refreshing growers about pesticide handling and safety. New cucurbit variety trial results will be presented by UF/IFAS Vegetable Specialist, Dr. Josh Freeman. 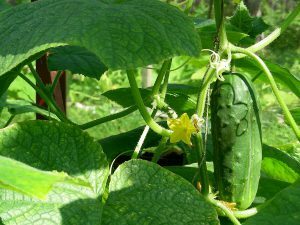 Next, insect and disease management in cucurbits will be covered by Xavier Martini, UF/IFAS Entomology Specialist, and Mathews Paret, UF/IFAS Plant Pathologist. There will be a special talk from BMP Logic’s very own, Doug Crawford, on the advantages of using soil moisture probes in commercial operations by showing data from past and present trials. If you are a grower, you do not want to miss the update on Food Safety and Handling by Florida Department of Agriculture’s, Sydney Armstrong. There is no cost for this sponsored event, but we ask that you please RSVP with Jackson County Extension at 850-482-9620 or by emailing jacksonf1@ufl.edu. To review the times of presenters, see agenda below. We hope all past, present and future growers are able to come to this annual event! Horticulture Extension Agent for Jackson County. Master Gardener Coordinator.